Even if you trim and maintain your garden, your yard might still look less appealing than it should be. This is why you should reduce yard clutter. Krier’s Construction, a top general contractor in the area, gives five tips to help you reduce clutter. Hardscape Your Lawn – It’s all right to replace grass if you live in a region that’s affected by too much hot weather. Hardscaping materials look better than brown or parched grass, and require less maintenance. Dispose of Old Tools – You might have broken tools hanging around your lawn. As one of the top local roofers and landscaping experts, Krier’s Construction suggests clearing your lawn of everything you no longer need. Compost Your Plant Trimmings – Plant trimmings and garden waste have to be removed from your lawn to keep it looking neat. Put those plant materials to good use by turning them into compost. Remove Broken Ornaments and Pots – Your yard might have old ceramic pots or broken ornaments. These items can make your yard look bad even if everything else is clean. Donate these items if they are in good shape or recycle them. 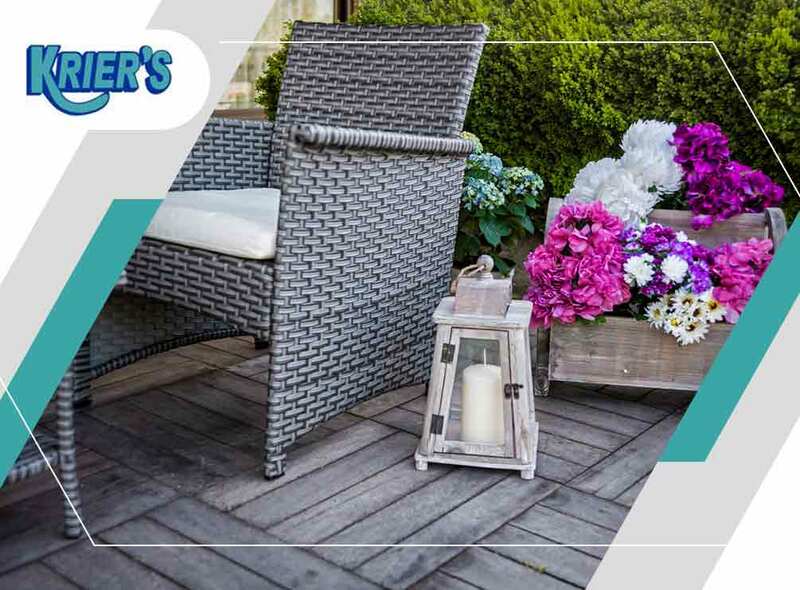 Remove Old Garden Furniture – Clearing your yard of broken furniture you no longer use will make it more appealing. Before throwing your furniture away, however, check if you can repair and donate them. We can help you upgrade your home’s exterior with our landscaping services. In addition, we provide a wide range of other home improvement services, including painting, deck building and more. Call Krier’s Construction at (920) 328-0747 to learn more about our services or to get a free estimate. We serve Oshkosh, Green Bay, Appleton and nearby areas in Wisconsin.